Camilla Sharples is the head travelling girl for Gordon Elliott Racing and they are preparing their team for the upcoming Galway Festival. Sharples commitment and passion for racing have been highlighted this year when she won the Godolphin 2018 Stud and Stable Staff award for travelling Head Person. 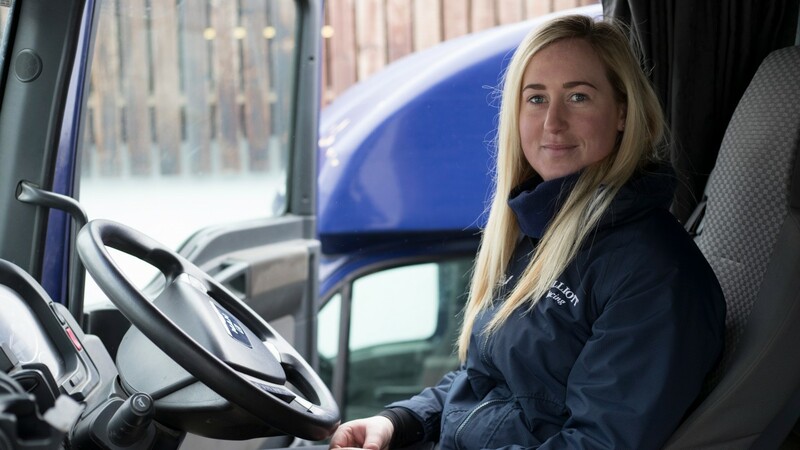 Organising and travelling all over Ireland and England with the yard’s horse’s, her bond with the equestrienne stars is clear to see in the recent Tote Ireland video recently released. We have caught up with her for a small Q&A to find out how preparations are going in the lead up to the week-long spectacular event that will attract thousands of racegoers for the highlight of Irish calendar year. Congratulations are in order for Pallasator’s huge victory at Royal Ascot, that took some winning, you must have been extremely proud? Thank you very much, Pallasator winning at Royal Ascot was a great result for the whole team. He’s not the easiest of horses to deal with as everyone well knows, but to be fair to him he was so well behaved on the day and put his best foot forwards to win impressively. To have a winner at any race meeting is a good day, but winners on the big days make the job worthwhile. We all dream of leading up big race day winners and I was just the lucky one who got to experience it first hand by getting the trip to Royal Ascot along with Jack Madden and Pallasator. The whole team deserves praise for this win. Is he likely to be heading to the Galway Festival at the end of the month? I wouldn’t know the exact plans for Pallasator’s next race, I don’t like to ask too many questions in that department, I leave it to the experts! But who knows. How much does your daily routine change for a big festival? Our horses keep to the same routine whether it’s a big race or a smaller race – they don’t know whether they are running in a Grade 1 or a Class 4, so we try to keep everything the same for them. Gordon likes to get his horses that are running the following week away from home for a gallop, it’s nice for the horses to get a change of scenery and I’d say it’s helps them out on race days as they relax more as they are used to getting away from the yard. As for myself, as long as I have enough Racing gear for the intended runners for the big festivals, there’s not really much more I can do until final declarations are out, at which time I can sort my Racing plans out. Is excitement now starting to build around the yard with the festival just over three weeks away? There’s a lot of excitement during Galway Race Week more so than the build up to it for us. We all still go through our usual day to day duties during the build up to Galway and there’s so much racing beforehand elsewhere. However, during the week the staff love taking the horses racing there and some even find holiday time to go on a social there! It’s a fantastic week of racing. Do you have one horse; in particular, you are looking forward to seeing run? I look forwards to seeing all of the horses run in Galway. We all take great pride in leading them up in front of such big crowds. There are 2 horses that I am very fond of though and should they make it to and run at Galway (fingers crossed) Cecil Corbett and Lord Scoundrel would be two I am really excited about leading up – two gents of the Racing world! What makes Galway so special? Galway race week is one of the big meetings of the yearly Racing calendar. With a mixture of National Hunt and Flat races, there’s something for everyone. The weather is usually amazing, the crowd is always in great form and there is always a lot of top class horses running throughout the week. I’ve also heard that the night life after the races is quite good!!!!! If you had to pick only one, what has been your most memorable moment with Gordon Elliot Racing? As a child I always used to go and watch the Grand National at Aintree with my family. We would stand on the bank between the first and second fences and I’d always say how much I’d love to experience being involved with a horse running in the race. My first experience of such thing was when working for Donald McCain – in 2014 I got to lead up my favourite horse in McCains, Kruzhlinin, who went on to finish 10th – This made me proud. Never in my wildest dreams did I think I would be involved with the Grand National Winner in 2018, Tiger Roll. The Grand National is a race that stops the world. My favourite horse in Gordons, Bless The Wings, finished 3rd in the race behind Tiger. We won and finished 3rd in the greatest jumps race in the world, what more can I say?! How would you and the team celebrate if landing a second Galway Plate win? If the team were to experience a second Galway Plate win, it would be amazing! It’s one of the big jumps races of the year and one we all want to see our horses pass the post in front. Gordon is always very good at putting on a few drinks after big race winners when all the staff can attend, so fingers crossed for team GE in the Plate and for the whole week in general. And finally, what everyone wants to know, who is Camilla tipping for success at this year’s Galway Festival? I don’t tip; I’m no good at it. As long as my job has been done correctly, the day’s runs without a glitch, everyone stays happy and the horses return home safe, that’s all that really matters to me. A few good placing’s along the way and a winner or two would be amazing. A tremendous servant to the sport of horse racing and I would like to thank Camilla for her precious time.